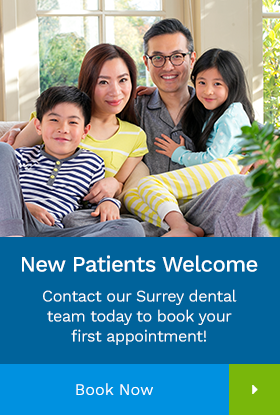 At Elgin Corners Dental in Surrey, we offer patients wisdom teeth extractions. In most cases, inadequate space in the mouth does not allow the wisdom teeth to erupt properly and become fully functional. If left untreated, impacted wisdom teeth can contribute to infection, damage to other teeth, and possibly cysts or tumors. Wisdom teeth extractions are most often performed because of an active problem such as pain, swelling, decay or infection, or as a preventative measure to avoid serious problems in the future. Panoramic or digital x-rays will be taken in order for your dentist to evaluate the position of the wisdom teeth and determine if a current problem exists, or the likelihood of any potential future problems.